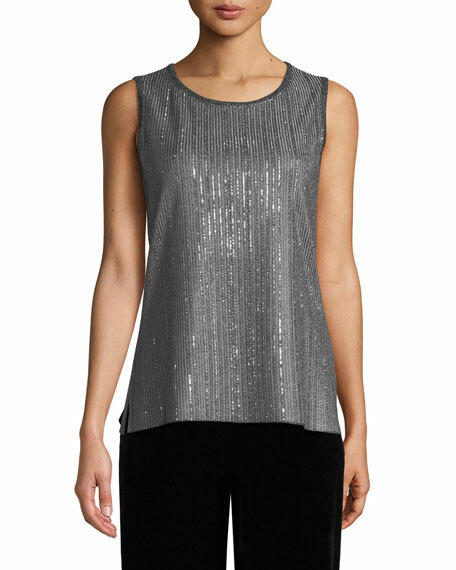 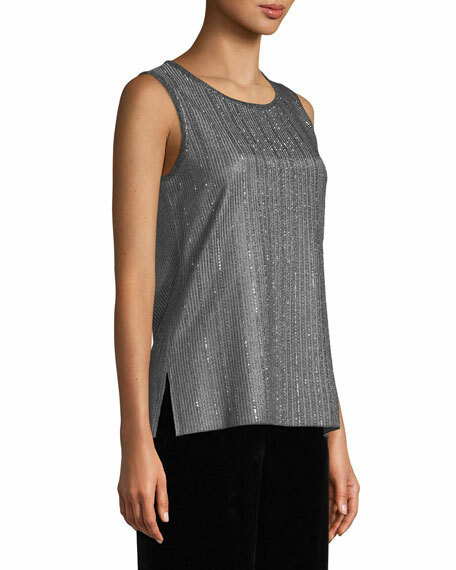 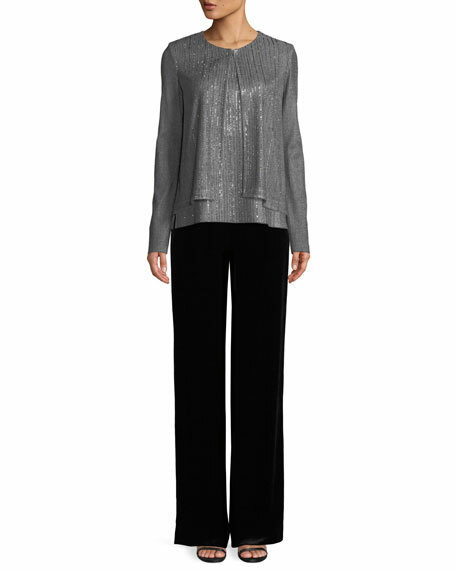 St. John Collection metallic plaited knit shell with sequined front. 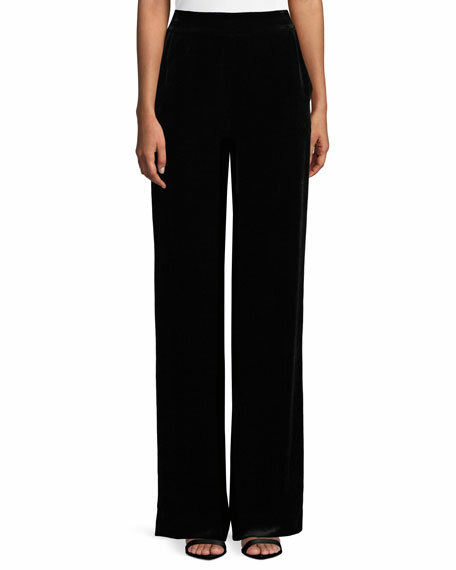 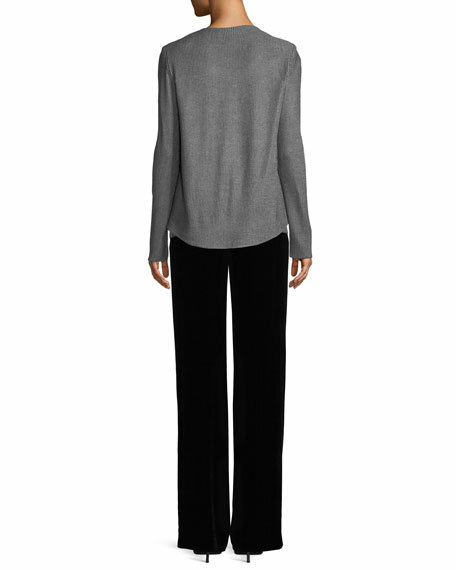 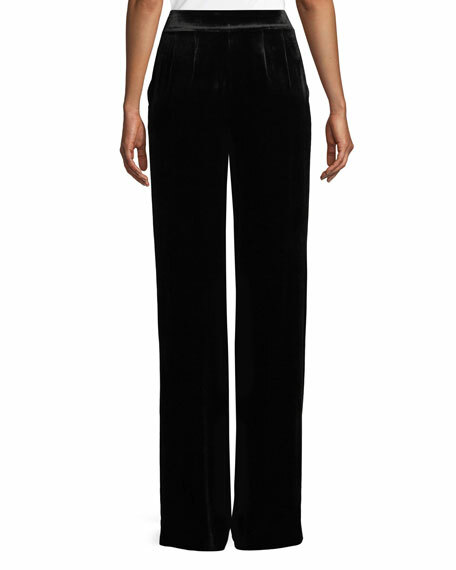 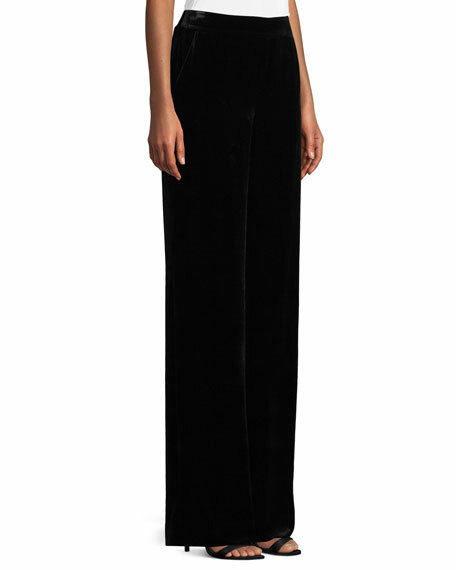 St. John Collection flowy pants in velvet. 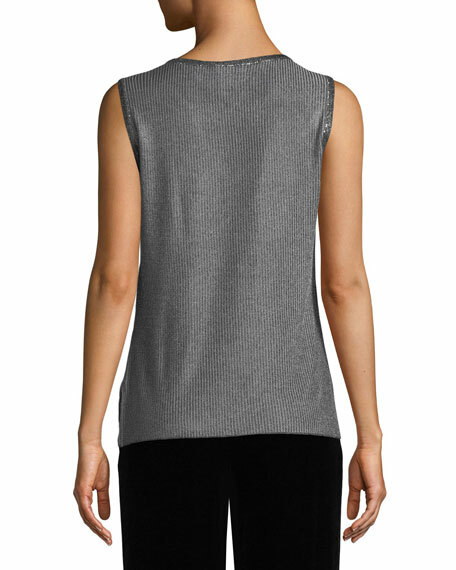 Slash pockets at hip; clean back.